I saw the below image on Facebook. It was posted by a group called the Other 98%. I wanted to see, before I shared it, if it was true. So, I went looking for the data. I found a spreadsheet on The White House U.S. Office of Management and Budget. I didn’t find any data to support the picture, but I did find something else just as interesting. 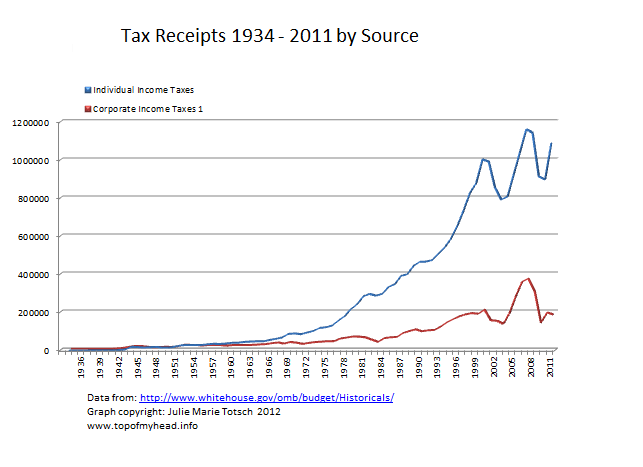 In 1934, the tax receipts totaled (not including Social Security) $784 million dollars – 53.57% was Individual Income Taxes and 46.43% was Corporate Income Tax. 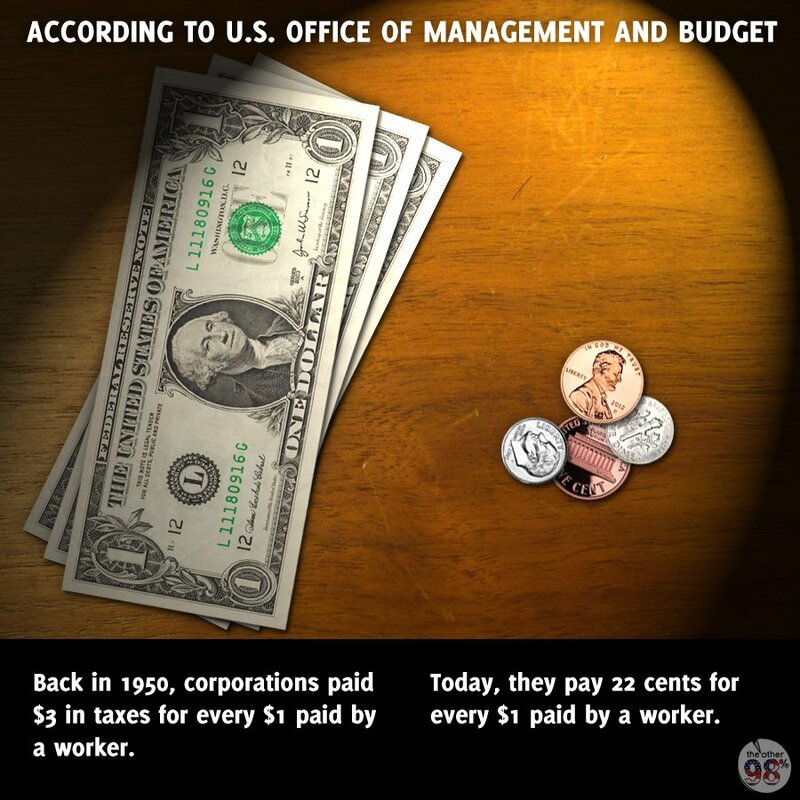 In 2011, the tax receipts totaled (not including Social Security) $1,272,558 million – 85.77% was made up from Individual Income Tax and only 14.23% came from Corporations. I don’t believe they’re paying their fair share, do you?